I realized that I haven't updated on how I'm doing health-wise in almost a month. My last update was after I had been to both of my doctors in Texas - receiving an unofficial diagnosis of Fibromyalgia, and having my neurostimulator adjusted. Having my neurostimulator adjusted started out great. I didn't have a migraine for a week and a half straight, after I had one of the programs that I had liked during the trial added back (my rep accidentally deleted it before). A week and a half! Since then, though... I've had ups and downs, recently more downs. There are a lot of weather changes and a lot of pollen in the air (Spring is in the air), so that's wreaking havoc with me and my allergies... might be a contributing factor to the worsening of the head pain. Overall, I'm still trying to just be patient with the neurostimulator. I know that it can work, I've experienced it... I just need to wait for my body to finish adjusting to the device, and then work on re-programming it, so that we can maximize on those good days. On a different note... I've gotten off of one medication, started on Lyrica, and stepped up the dosage on the migraine preventive I've been on since Sept/Oct (Topamax). I was able to come off of the one medicine without problems. 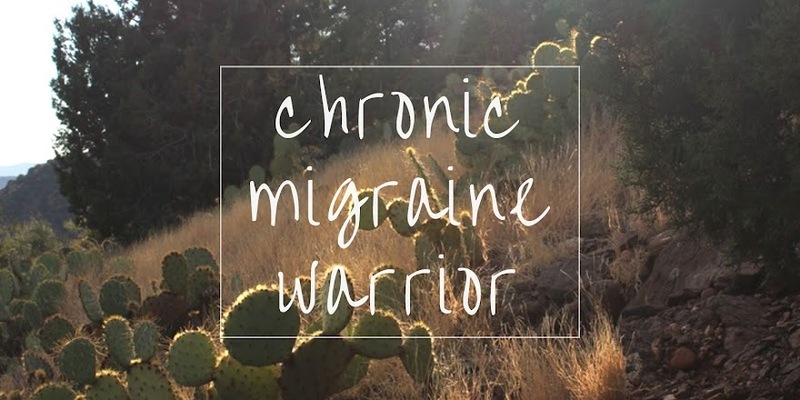 But, then things become far more difficult to differentiate between whether they were caused by migraine, fibro (if I even really have it), one of the medications, or something completely different. Late last week, I began having a lot of problems with dizziness. I had to sit down and rest quite often because I felt weak and unsteady, as though I was rocking back and forth on a boat... actually, I was rocking back and forth (according to my husband). These feelings worsened over the weekend. By Tuesday, I was unable to stand long enough to take a shower (after having been sitting or laying down for most of the previous 96 hours). My legs were so wobbly, shaking so uncontrollably... I was so grateful that my grandmother had given me a shower chair a month or so ago. But needing to use it was one of the most humbling experiences I've ever had. I already don't shower as often because it wears me out so much, but to not even be able to make it through a shower without needing to sit down... Wow. My migraines have also been super-bad, especially the past week and a half. It's been pretty much non-stop... pain levels getting just enough below migraine to prevent me from taking a trip to the ER. With all of this happening, my world has been spinning around me; but I was able to call my doctor today. I explained the plethora of new symptoms I've been experiencing. We're going to back down a little on the Lyrica, and see if that helps. I'm going to stop the narcotic pain killer that I've been using as my abortive migraine treatment. My doctor said that he doesn't have anything to replace it with. What the heck?! I know I've tried A LOT of meds, but really? Nothing?! I can't just do nothing! I'm going to re-try some of the abortive meds I've tried before with some relief, and maybe they'll work better in conjunction with the neurostimulator. I'm also going to have blood drawn to check my electrolytes and thyroid levels. (I'm going to set up an appointment to have a physical and blood test to test all kinds of other things, but my headache doctor wants to get these things tested now).